Since 2007, World Finance has partnered with prestigious events around the globe to make known some of the biggest challenges and opportunities of our time. At them, many of the world’s most distinguished business leaders gather to speak about the issues dogging the world economy, and World Finance’s presence there is proof enough that these issues are deserving of attention. From real estate investment to cloud computing, the scope and scale is astounding, and the value of these gatherings is of inestimable importance to any industry name worth their salt. 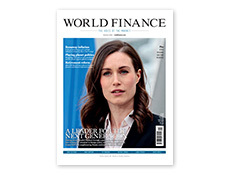 With hundreds of years of financial and business journalism to our name, World Finance brings an air of authority to these events. Below are some of the events World Finance partners with. The first day of the event will be dedicated to an advanced level training entitled "The conduct of the proceedings and case management - the arbitrator's perspective." The programme provides an in- depth overview of how arbitrators should establish authority over parties throughout proceedings, including hearings, and how to deal with fellow-arbitrators. This is an opportune time to develop your skills and broaden your professional potential. As one of Asia’s fastest growing economies, the country is yearning for effective solutions to help its power infrastructure keep pace with the change. 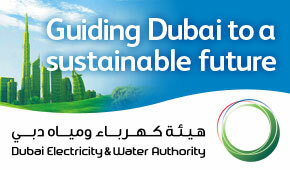 And in recent years, a growing economy and urbanisation of the population has led to acute shortages of power. In particular the shortage is seen across the more remote islands at the extremities of the electric grid systems. While new capacity is constantly being built, significant shortfalls of capacity continues to exist in the Philippines. Innovation, both in technology and in business models, coupled with investments, is needed to bring the Philippines ahead. Taking place on 18 – 19 May 2016 in Manila, Power & Electricity World Philippines is the leading conference for senior executives from leading utilities, IPPs, investors, government, and other industry stakeholders to discuss development, investment and partnership opportunities in the Philippines. Across two days, over 3,000 stakeholders from Asia’s utilities, energy producers and government agencies and vendors will converge at the event. Join us to unlock great content and establish new business connections through networking. Subscribers of WN Media gets additional 15% off prevailing prices – quote PTWN when you register online. Are you interested in how to track the next investable niche in real estate, or in uncovering the next disruptors of core assets? If so, you should join Real Estate Investment World Asia 2016 where over 400 investors, developers and real estate experts are coming together for 3 days of networking and learning. Taking place on 22 and 23 June 2016 in Singapore, Real Estate Investment World 2016 offers LPs and GPs a forum in which to meet and to share ideas and opportunities. Its content-packed agenda brings together leading speakers from across the region to comment on latest emerging trends, investment strategies, and investment experiences in regional frontier and core markets. Across two days, over 60 speakers and 300 stakeholders in Asia’s real estate industry. Join us as we explore the developments and the investment hotspots across the region. The 2nd Microfinance Egypt Summit taking place from 21-24 March in Cairo will gather some of the biggest influencers in Egypt’s microfinance sector, including the Egyptian Financial Supervisory Authority, Microfinance Federation, Alexandria Business Association, Tasaheel Finance, First Microfinance Foundation and Tanmeyah Microenterprise Services, to discuss the next steps in developing the microfinance sector in Egypt. Register now for ICC Academy’s ground-breaking Supply Chain Finance Summit in Singapore on 9-10 March. The annual Summit, now in its fourth year, has become the go-to event for supply chain finance professionals from across the world. The Summit will feature the global launch of new industry terminology for supply-chain financing—which has been developed through an extensive process involving a broad range of industry groups and financial institutions. The Summit also features panels, and case studies presented by leading players and industry experts – providing unique insights into the trends, opportunities, and challenges affecting supply chain finance. The Summit will welcome 150 trade finance experts, CFOs, corporate credit and risk managers, corporate treasurers, import managers, trade specialists, bankers, insurers, consultants and vendors from all over the world. Participants will have invaluable opportunities to network with other like-minded professionals. 5G World is more than just an exhibition. Featuring free-to-attend demonstrations, theatres, speaker interviews and product launches, as well nine tracks of exclusive content for premium conference delegates, there are plenty of reasons for the entire LTE/5G community to be part of it. Demonstrations will feature NFV/SDN technology, beam forming concepts, backhaul layoutsand much more! Taking place both in English and Arabic, this must-attend event is essential for all arbitration professionals wanting to keep up to date with the most cutting edge developments in the region. The function offers an array of educational opportunities, a compelling list of more than 40 internationally-renowned and distinguished speakers and an excellent chance to network. “By bringing together leading experts and professionals, ICC can target the emerging issues specific to the region and provide the tools necessary to combat the changes and challenges in this ever expanding field,” said Sami Houerbi, ICC International Court of Arbitration Director for Eastern Mediterranean, Middle East & Africa. On Monday 11 April 2016, the Conference will be preceded by a full-day advanced-level training on the production of documents. Participants will gain relevant knowledge, skills and understanding of how to efficiently manage all aspects of the process, including how to draft production requests. “With the recognized importance of international arbitration to dispute resolution in the MENA region, the ICC International Court of Arbitration champions its efforts in expanding its expertise to a wider audience,” said Yas Banifatemi, Head of Public International Law at Shearman & Sterling LLP in France; Visiting Lecturer of Law at Yale Law School in the United States; and Vice-President of the ICC International Court of Arbitration. Hot topics at this year’s Conference include: the role of in-house counsel in arbitration proceedings, corruption in international arbitration, as well as parallel industry sessions on construction and energy disputes. Participants are eligible for CLE and MCLE credits, as well as CPD and CNB hours. Click here to watch a video message from Sami Houerbi, and learn why it is important for legal practitioners to attend the 4th ICC MENA Conference. The summit, which will be held at the Maxwell Chambers in Singapore, will welcome 150 trade finance experts, CFOs, corporate credit and risk managers, corporate treasurers, import managers, trade specialists, bankers, insurers, consultants and vendors from all over the world. It will feature panels and case studies by industry leaders, invaluable networking opportunities, and up to 15 professional development credits (PDCs) towards any ICC Academy certification. A key feature of the summit will be the release of a new internationally-standardized definitions for techniques of supply chain finance endorsed by the ICC Academy, facilitated by the ICC Banking Commission and jointly produced with key global industry associations: Bankers Association for Finance and Trade, Euro Banking Association, Factors Chain International, and International Forfaiting Association, whose members will be contributing to the panel discussions. In addition to presenting a series of techniques, a panel will discuss the benefits of a globally standardized definition of supply chain finance, as well as the details of the drafting process, and its proposed structure and techniques. The panel will also explore the next steps in the global adoption of the terminology. The summit will cover topics such as supply chain financing in Asia, the importance of small and medium-sized enterprises (SMEs) and strategic suppliers, the transforming role of Fintech in finance, and the market response to increasing regional usage of the renminbi, among others. Learn how to apply and leverage on Internet of Things technology considering the Asian market status and needs or how to ensure ROI from Big Data investment through Data Analytics tailored to your business needs. With market’s fluctuation, investment carries more risks today than ever. How should you decide on an investment strategy? Where should you focus on your deployment of capital? How do you maximise returns? We will be answering these questions in a panel discussion on asset allocation and investments at Private Banking Asia 2016. The panel would be the opening panel on the 3rd March. Looking across geographies and asset classes, where holds opportunities for investment and capital deployment? Join us as we explore essential questions asked in Asia’s private wealth sector. Over 300 High Net Worth Individuals, Family Offices and Private Bankers will be present – grab your pass now if you wish to meet them. As a reader, you will get an additional of 15% when you quote ‘EPRL’. What’s more, there’s greater savings when you book in groups. Drop an email to mildred.ang@terrapinn.com if you have any questions. 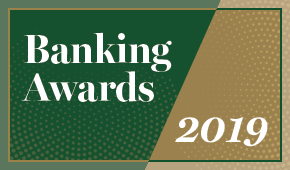 Latin America’s largest and most prestigious international networking forums for senior banking professionals, attracts 1,800 bankers from 51 countries worldwide.